Description: Beadalon Poly Sparkle Thread is a great way to add a little sparkle to your beaded jewelry or other stringing projects. Use it with other stringing materials or by itself. Use the collapsible eye needle with this material. .039 inch (1 mm) thick. 49.2 feet (15 meter)long. Silver. White base with Silver metallic shimmer. 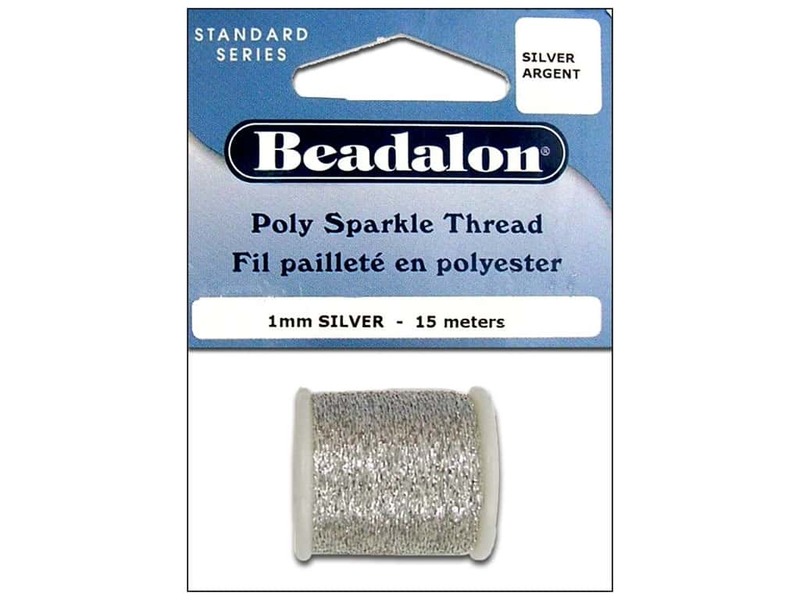 Beadalon Poly Sparkle Thread 1mm 15m Silver 2.00 out of 5 based on 1 ratings. 1 user reviews.